Portrait painting of America's 16th president shown dreaming up the Gettysburg Address. Despite presiding over the nation's bloodiest war, Lincoln is, thus, included in this peacemaker collection for upholding the idea of democracy. In the mid-19th century the efficacy of this philosophy of governance still hung in the balance. Were it not for Lincoln's steady guiding hand, the historic norms of monarchy and aristocracy would have surely retrenched more firmly in the wake of the world's most ambitious democracy experiment. 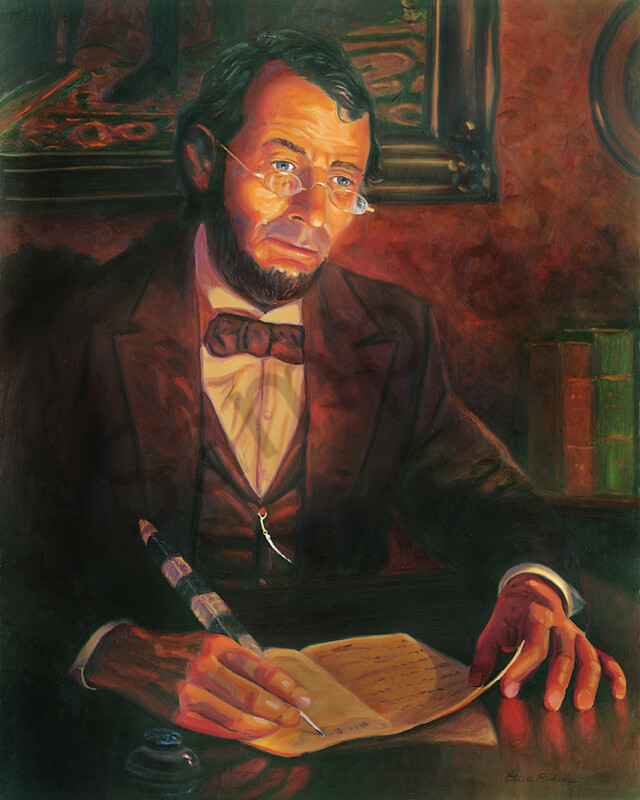 Portrait paiinting of America's 16th president is shown dreaming up the Gettysburg Address.